98.9% of people prefer buildings with AUTOMATIC DOORS. It’s no longer a question of whether to spec automatic doors, but of which automatic door to select. Every building deserves unique consideration; in particular, the pedestrian traffic should be carefully evaluated. Will the building experience simultaneous two-way traffic? What is the volume of traffic expected to enter/exit the building? How small or large will the entranceway be? An automatic door is a must-have for most businesses. An automatic door is convenient for both customers and employees. Depending on the type of business you have, there are several options for choosing a door to suit your particular needs. Some of the most common automatic doors are revolving doors, sliding doors, and swinging doors. Each type has its own benefits and drawbacks to take into consideration when choosing one, or multiple automatic doors, for your business. Before you decide on a door, you have to be sure of what kind of use will be made out of it. How much traffic does your business get? What kind of space do you have for installation? Will your business require a lot of materials to enter or exit the building through that door? Do you need special security measures for your door? Answering these questions will help you decide which of the following would be best for your business. An automatic swinging door is best for maintaining two separate doorways- one for entry and one for exiting. A swinging door is most efficient for low traffic businesses which only have a few people coming or going every few minutes. 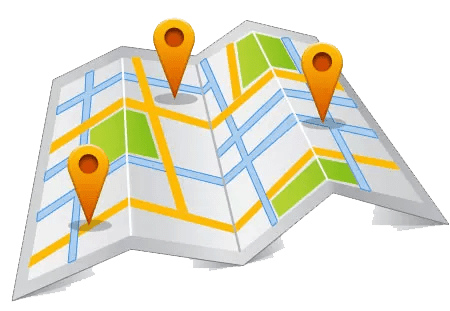 Private business or medical offices are the types of locations which use swinging doors because their clientele is usually scheduled, and there are not large quantities or groups of people entering and exiting at the same time. Automatic swinging doors can also work well for smaller offices because although there might not be a lot of space, but a low-traffic office does not need to maintain a permanent space for the door to open and close. An automatic sliding door is great for businesses with medium to high traffic. They slide right up against the wall and allow for large groups of people to enter and exit simultaneously. Sliding doors are often the door of choice for large grocery and department stores. Sliding doors make it easy for people to carry things in and out of the building, and are automatically handicap accessible. The minimal space that sliding doors require to open also gives businesses more space for product placement near the door. Sliding doors don’t require a push-button to operate and can be manually opened easily if need be. Sliding Doors accommodate people moving in opposite directions at the same time – like you’d see at the main entrance of a hospital, for example. Swinging Doors are typically used for directional, or one-way, pedestrian traffic. Use one door as “In” and another as “Out” to control traffic flow. Folding Doors are a space-saving solution when people need to move in both directions through a door opening that’s no more than 6-8’ wide. 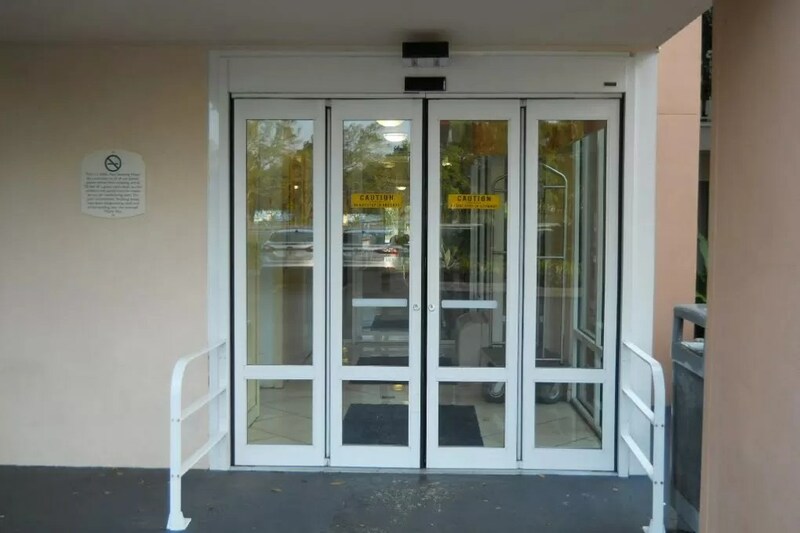 An automatic revolving door is for businesses or buildings with very high traffic. Not many places have need of an automatic revolving door unless they have more than two people coming and going every minute. Doors like these are usually seen in very large shopping centers or buildings with multiple businesses inside. Revolving doors make it easy for people to come and go at the same time, and keep the flow of foot traffic moving. Revolving doors, however, are not the most practical for businesses that sell large products. Although a revolving door does not always have to be moving, it allows to constant movement into and out of the building, without having a completely open doorway letting in the elements or getting jammed up with people or products. Will the building experience simultaneous two-way traffic? What is the volume of traffic expected to enter/exit the building? How small or large will the entranceway be? Do You Know What to Look for in an Automatic Door?